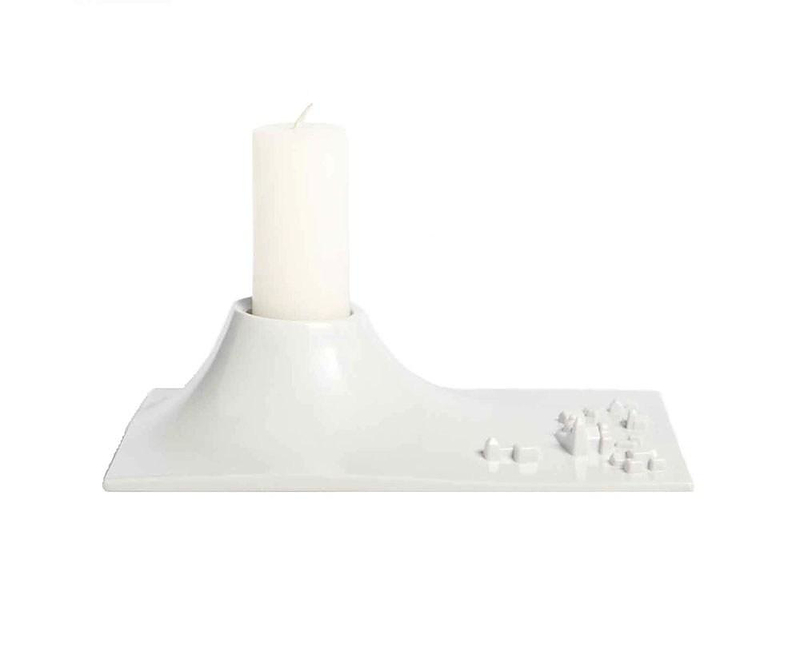 HomeBlogHome DecorPompeii Candle Holder by Claudio Colucci. The crafty Pompeii Candle Holder designed by Claudio Colucci was inspired by the volcanic eruption of mount Vesuvius in AD 79 that led to the burying and destruction of the Roman cities of Pompeii and Herculaneum. 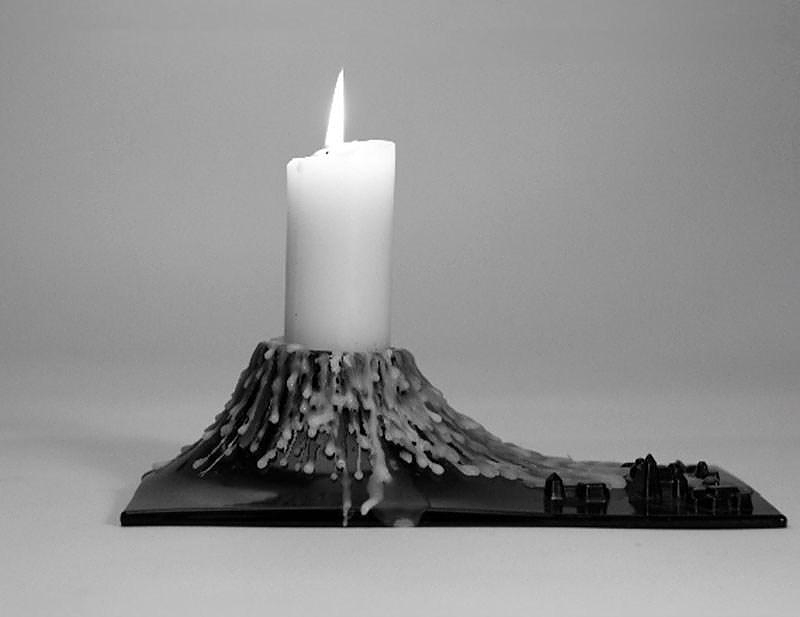 While the candle melts a symbolic simulation occurs that symbolizes molten lava flowing towards the miniature city. Not to worry though it is obviously a reference in art, as the tiny houses are quite resistant and will remain firmly to their place candle after candle. 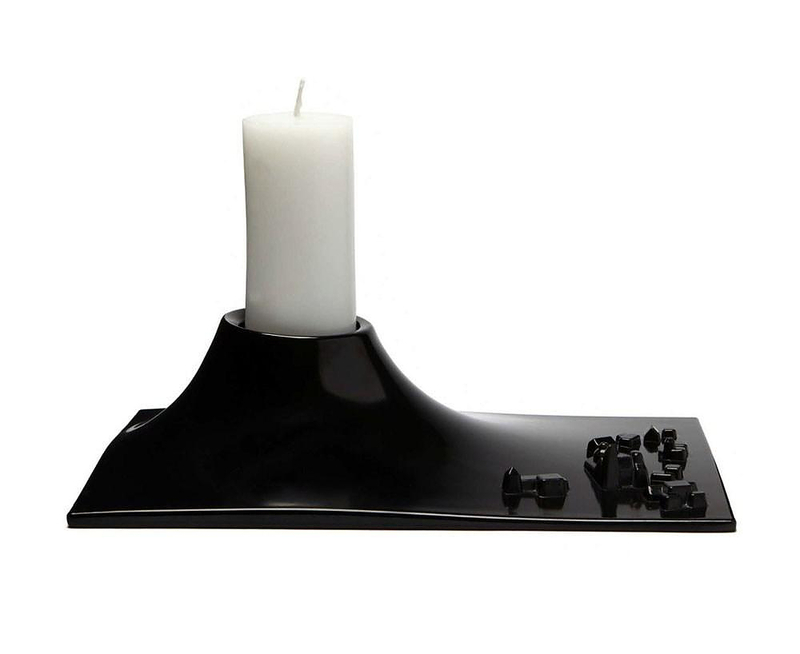 The Pompeii Candle Holder is made of melamine resin and is available in black or white color.